The ex-Conservative MP will be joined by Anita Rani, singer Aston Merrygold, Jake Wood and former cricketer Michael Vaughan in the Christmas Day special. TV presenter Caroline Flack, winner of the 2014 series, completes this year's six-strong celebrity line-up. 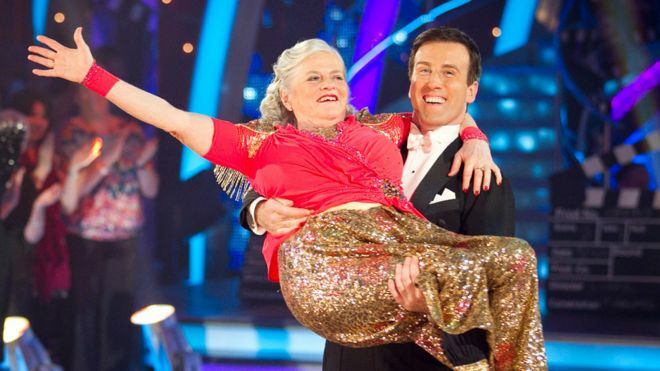 Widdecombe, 71, became a firm favourite with viewers, if not the judges, when she competed on Strictly in 2010. She said she was "very much looking forward to returning" and was expecting to "once again be pushed, pulled, cajoled and coaxed around the dancefloor in all manner of ways". Hosted by Tess Daly and Claudia Winkleman, this year's pre-recorded festive extravaganza will have a fairytale theme. According to the BBC, "each of the six couples will perform a Christmas-inspired routine in a bid to be crowned Christmas champions 2018." Flack said: "How could I say no to performing one last time on this year's Christmas special? It'll be the best present I could imagine". Last year's edition saw TV presenter Katie Derham and her dance partner Brendan Cole receive the silver star trophy.